By this I mean believe that God created the world in six normal days, that there was then a real rebellion against God by an actual Adam and Eve, followed by the entry of death, suffering and carnivory into a once-perfect world, and that the first chapters of Genesis are a literal, historical account of all this. So does one have to believe this to be a Christian? Is it then enough just to believe in Jesus and repent? Well, these two things imply that there exists a holy God against whom we have rebelled and so incurred the penalty for doing so. But why does our disregard for God and our failure to keep His laws merit any penalty at all, let alone the death penalty? It is true that one can go through the steps of becoming a Christian without accepting or even knowing the Genesis account of Creation and the Fall.6 However, such a minimal belief system misses out on the full measure of what God has provided as the basis for our coming into a right relationship with Him. This includes the totality of His Word to us, incorporating the logical foundation which Genesis supplies to the whole doctrine of Salvation. There is a slippery slope into unbelief that accompanies disbelieving any part of the Word of God. This leads to a shallow faith that has little root in the Word of God and so has little foundation to resist the attacks and ridicule of sceptics, atheists, liberal religious leaders, fellow students, or work-mates, etc. In the parable of the sower, it was because they had no root that the seeds which fell on stony ground withered away when they sprang up and were scorched by the sun (Matthew 13:5–6, 20–21). Today Genesis is under attack as never before—not only by skeptics who ridicule it, but also by ‘Christian’ teachers who, in their books and sermons, blatantly misrepresent what the text says, to try and make it conform to the conclusions of some of modern science, with its antitheistic presuppositions. So then, how can one tell what any part of God’s Word, and in particular Genesis, actually means? 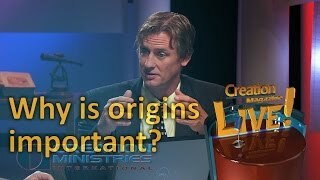 Let us now examine some of the problems faced by a Christian when he or she does not accept what Genesis says about a literal Creation. 1. There is a slippery slope into unbelief that accompanies disbelieving any part of the Word of God. 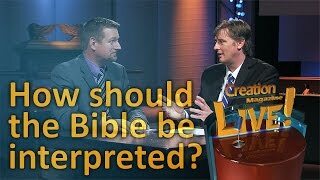 If some part of the Bible is not true because it does not mean what it says, how do we know that other parts, such as the Virginal Conception of Jesus or the forgiveness of sin, are true? In the 1940s and ’50s, American evangelist Charles Templeton’s preaching helped lead thousands of people to profess faith in Christ, but then he began to compromise with long-age evolutionary concepts. As a result, he had no answer to the spurious claims of evolutionist scientists and their atheistic theories about the origin of the Earth, life, etc., and no answer to the problems of suffering and evil in the world. It is important to note that some of those who profess faith at mass evangelism rallies are like Templeton, and make an emotional decision without a proper foundation. Thus it is not surprising that many professing converts ‘fall away’, like Templeton did. 2. 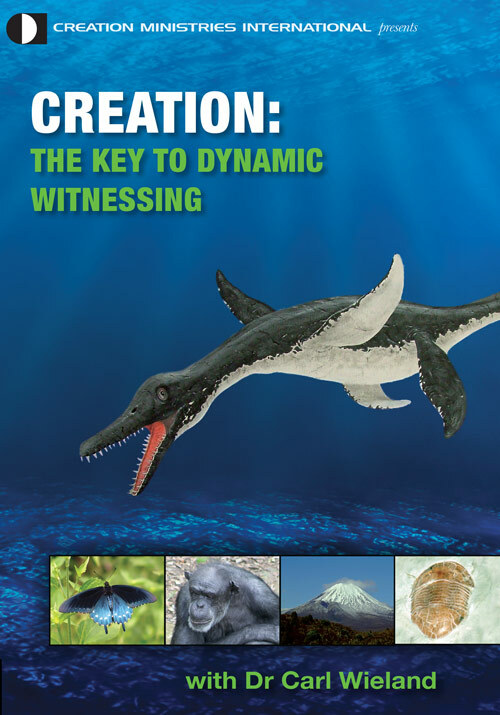 As a Christian, how do you propose to share the Gospel with those who hold the worldview that there is no God because matter formed itself in a ‘big bang’ billions of years ago, and life began spontaneously from chemicals in some primordial pond where the conditions were ‘just right’? How are you going to convince them that there is a Creator God to whom we must give account, without first showing that their worldview is incorrect? 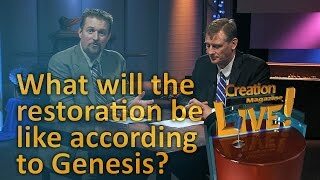 How are you going to do this, if you say that Genesis allows for everything to begin with a ‘big bang’? In fact, chapters 6–8 of Genesis show that God has already judged mankind with the global Flood, and Jesus (Luke 17:26–27) and the Apostle Peter (2 Peter 3:5–7) said that the coming judgment would be just as real. However, if Noah’s Flood was just mythical or local, why should we believe in judgment to come? Thus those who teach that Genesis describes a ‘big bang’ and a local Flood undermine the urgency of God’s coming judgment. An essential part of the Gospel is that there is a coming Day of Judgment. 3. How do you propose to share the Gospel with those whose worldview says that there is no such thing as sin because there is no absolute difference between right and wrong? [See also Q&A: Morality and Ethics] How are you going to convince them that they are lost and need a Saviour? 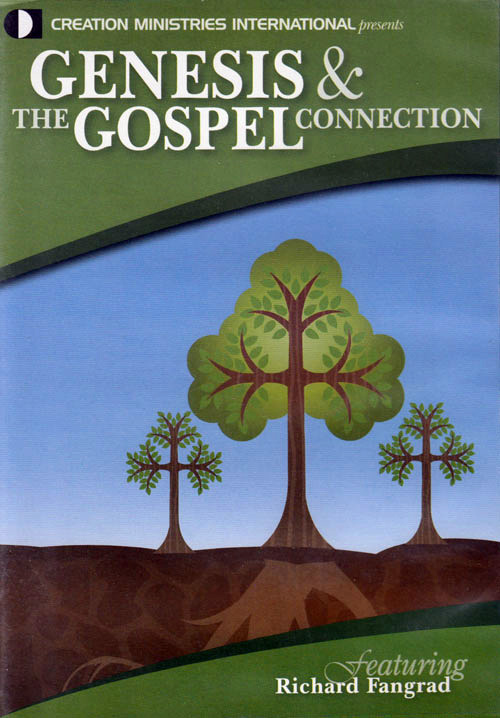 Without the Genesis account of the rebellion against God by our first parents, and the Curse that followed, there is no basis for the origin of sin, or the fact that sin needs to be atoned for, or that Christ did this by His death on the Cross and His subsequent Resurrection (1 Corinthians 15:21–22). 4. If you believe only what you choose to believe in God’s Word, how will you wield the Sword of the Spirit (Ephesians 6:17), when it is blunted or broken by non-acceptance of its total truth? 5. How are you going to share the Gospel with those who see the pain and suffering of people and animals, and say that if God exists He cannot be a God of love as the Bible says (1 John 3:8)? 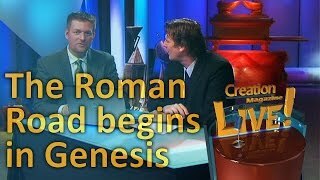 Without the Genesis account that the world God originally made was ‘very good’ (Genesis 1:31), and the Genesis account of the Curse that fell on the Earth as a result of Adam’s sin (resulting in death and suffering), so that the present world is not the way God made things, there is no answer. Long-age compromise views, even if anti-evolution, undermine the Gospel at this very point. In fact, God made man ‘in His own image’ (Genesis 1:27), so that He and man could have communion together. When man turned away from God in disobedience, God was grieved, so much so that in His love He gave His Son to be our Redeemer and win us back to Himself (John 3:16). 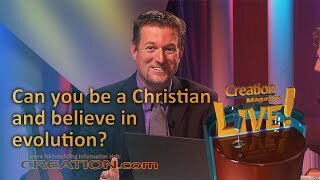 Do you have to believe in a literal Creation to be a Christian? The short answer is ‘No’. The long answer is ‘No, but …’. See also John 11:25; Acts 16:31; 1 Corinthians 15:1–4; Ephesians 2:8; etc. Return to text. See also Mark 1:15; Acts 3:19; 2 Peter 3:9; etc. Not all ‘salvation’ texts in the Bible contain both instructions, but they are often used synonymously, as each implies the other. Thus faith in Christ’s death for us involves our acknowledging that He died for our sin, and repentance in the Biblical sense involves there being a means whereby we may be justly forgiven, namely that Jesus has paid the penalty for our sin. Return to text. This shows the error of those who teach that sin is a feeling of low self-esteem. Not everybody has low self-esteem, but the Bible says that ‘all have sinned and come short of the glory of God’ (Romans 3:23). Return to text. 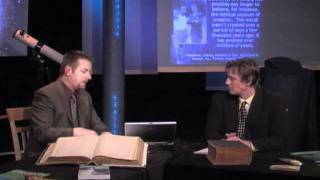 See Grigg, R., Why did God impose the death penalty for sin? 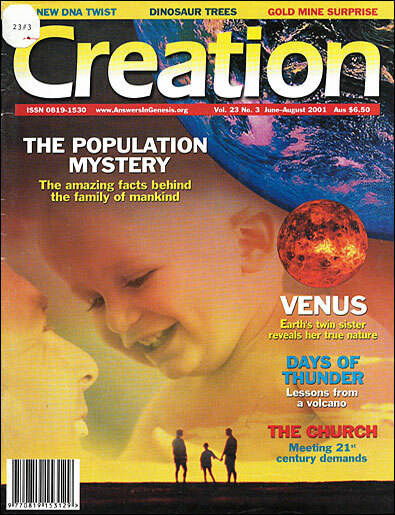 Creation 15(1):32–34, 1992. Return to text. Many missionaries begin Bible translation with one of the Gospels and many tribal people have been converted as a result. However, many more genuine (i.e. persevering) conversions usually occur when missionaries begin their evangelism by teaching about Creation and the Fall from Genesis. See McIlwain, T., Firm Foundations: Creation to Christ, New Tribes Mission, Sanford, Florida, 1991. Return to text. One of the main themes of Genesis is the sovereignty of God. This is seen in four notable events (Creation, the Fall, the Flood, and Babel), and in God’s relationship to eight notable people (Adam, Abel, Enoch, Noah, Abraham, Isaac, Jacob and Joseph). There is thus a unifying theme to the whole of Genesis, which fails if any event is not true history; each event reinforces the historicity of all the other events. Return to text. It is true that the Bible contains poetry (as in the Psalms), parables (as recorded in the Gospels), and metaphors (as when Jesus said, ‘I am the bread of life’). 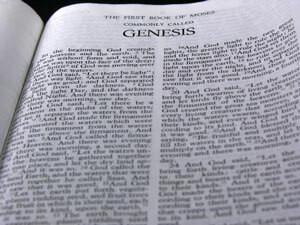 However, Genesis is not written in any of these distinctive styles. 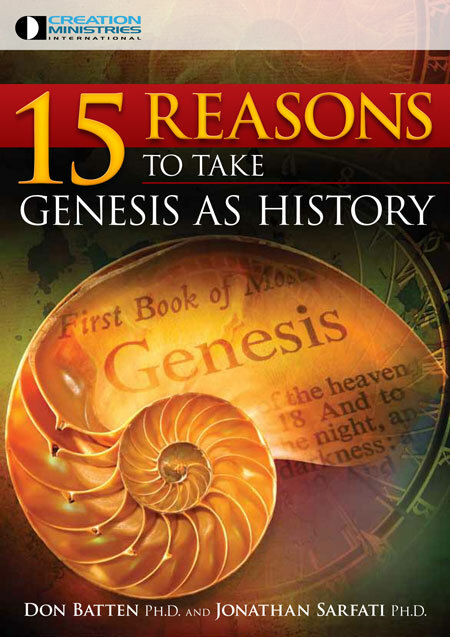 See Grigg, R., Should Genesis be taken literally?, Creation 16(1):38–41, 1993. Return to text. Genesis 1–50 gives the foundational history of the Jewish people; other nations are covered only as far as the end of chapter 10. Return to text. Templeton, C., Farewell to God, McClelland & Stewart, Toronto, pp. 37–71, 1996. Return to text. Ref. 10, pp. 89–153. Return to text. Ref. 10, p. 232. See also Ham, K. and Byers, S., Slippery slide to unbelief, Creation 22(3):8–13, 2000. Return to text. See Grigg, R., Curse and catastrophe: the four great judgments of God on all of sinful humanity, Creation 16(2):42–44, 1994. Return to text.